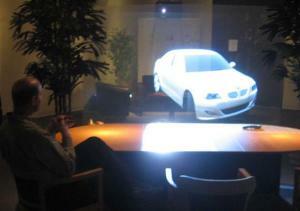 Remember the scene from the movie Minority Report when Tom Cruise enters The Gap and is greeted by a 3D hologram? Many of us had no doubt that this type of technology would not be too far off. But how far will technology go before we worry about our privacy and safety? As a matter of fact, a study by the Ohio State University last year demonstrated technological advances mastering identification of emotional states, with an impressive accuracy level ranging of between 76.9% and 96.9%, depending upon the complexity of the emotion. Trumping that, however, a software recognition system developed by Facebook called DeepFace is even more accurate. It is able to determine whether two different photographs feature the same person – all with an accuracy rate of 97.25%, despite angle or background lighting discrepancies! DeepFace is software that is able to build a 3D model of a face from a photo that generates an algorithm that searches for a match. Once you’ve been identified, you’ll automatically get tagged in pictures and posts. Word has it that Facebook soon might embrace this technology by offering its 1.3 billion users the ability to have expanded social connections. Such intelligence does lead to concerns ranging from ID theft, privacy, stalking and security. Although users of Facebook might give permission to Facebook to use their personal data when they sign up for the network, they might question how the addition of such technology could lead to skepticism. Facebook clearly use this facial recognition and its associated information in ways to build a far stronger database about its users and friends than they already are. Users should have a full understanding of the implications of such advancements, or conversely, be prepared to say “cheese” at any moment in time!